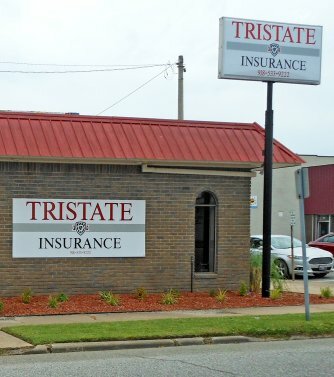 Established in 1992, Tristate Insurance provides an array of insurance options for clients across the four-state region, including Oklahoma, Missouri, Kansas and Arkansas. No matter what your insurance needs may be, Tristate Insurance can help you find the right coverage. Tristate Insurance offers a full range of personal and commercial insurance solutions, including auto insurance, life insurance, home insurance, watercraft insurance, recreational vehicle insurance, farm and ranch insurance, motorcycle insurance and commercial insurance options, such as business owner packages. As a full-service independent insurance center, Tristate Insurance is not tied to one company. This means its experienced agents can find comprehensive, affordable protection from a variety of insurance carriers. Tristate Insurance doesn’t work for just one company and that means better choices for you. Like a personal shopper, the property and casualty company shops a network of 20 insurance companies to find the best combination of premium and coverage to meet their clients’ insurance needs. Since its founding, Tristate Insurance has operated on the principle that its customers are always first. “Our ‘cut-the-bull-but-not-the-corners’ philosophy inspires a different kind of interaction with our clients — one that feels more like a relationship than a stale business transaction,” says agent/owner Eric Lofland. Tristate Insurance is locally owned and operated with two locations in Miami and Seneca, Mo., to better serve its clients. Each office is conveniently located with plenty of parking available. The original location, 1049 Cherokee, in Seneca, opened in 1992, with the second office at 138 North Main, in Miami, opening in October 2017. The staff at both Tristate Insurance locations are local residents who are very involved in their communities. In addition, the friendly staff are all dedicated to going the extra mile to make sure the agency’s clients receive the highest level of customer service. If you’re looking for a new insurance policy or would like to review existing policies to ensure they are up-to-date and offer the best coverage for the best price, call Tristate Insurance and speak to one of its agents today.